Are Reptilians Hiding In Missouri Caverns? 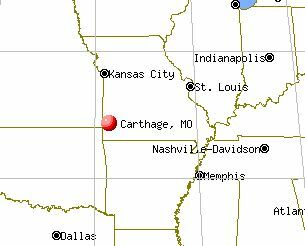 Location/Date: Near Carthage, Missouri – March 7, 2004 – afternoon: The two witnesses had gone ATV riding in a area referred to as “The Underground” which is a public and private storage facility near the town. The facility is miles and miles of carved out caves and also stores thousands of dehydrated food containers for the Navy. It is also a fallout shelter and can hold up to 40,000 to 50,000 people. They had gone about 8 miles deep into the caves when they turned into an area that was marked, “Naval Authoritative Zone.” The walls had become more polished or finished, which was striking because this was supposed to be a newly blasted area. Both witnesses just kept on going, increasing their speed since the floor was paved now. They came upon an unusual painted pattern on the floor, which they thought it was graffiti. The road then dipped down and took a 90-degree turn to the left. They were going too fast and knew they were going to hit the wall but, instead, they passed through some kind of holographic projection of the cave wall. Now they had come upon a whole new road system, this one large and much older than the one they had come from. They began to notice a musty and damp odor that intensified as they went deeper into the area. The lighting had changed as well. It was now much darker than the other area from which they had come. They turned on their headlights and slowed down also noticing that it was starting to get cooler. They made a right turn and started to come up on what they thought was a rest area about 40 ft away. One of the witnesses then saw something that at first he thought were a pair of fountains until the objects moved. They both stopped immediately. About 30 ft away they saw two creatures, one was very tall (at least 7 ft, maybe more) and very powerfully built and reddish in color. The other was smaller (about 6 ft tall) and was a pale, almost albino color. This one was not as powerfully built as the other. Both beings resembled large reptiles. The beings said nothing but the witnesses did get a strong malevolent feeling, an evil presence of some kind from the taller one. One of the witnesses screamed and they immediately turned and started back. As they looked back they noticed the taller entity was following them. One witness had an overwhelming feeling that if it caught them, harm would come to them. They passed through the wall projection again, looked back and saw the tall entity raise it’s arm holding a weapon of some sort. It fired and hit one of the ATVs, which apparently killed the engine causing it to stop. The rider ran to the other ATV and jumped on it. They drove away and looked back to see that the tall reptilian had now stopped at the graffiti area on the cave floor. It seemed that the creature would not cross the strange marked area…some type of barrier for the creature. The witnesses now slowed down and were about 75 ft away from the creature. The two men and the reptilian stared at each other for about 15 seconds and then they left. The creature remained standing without moving. One of the witnesses called the police on his cell phone but he was told that the security at the facility would handle the matter. Indeed security waited for the men and threatened to arrest them if they did not leave. This past Sunday…the 7th. A friend and I were riding two ATVs in a place called, “The Underground” it is a public and private storage facility in Carthage, Mo. What makes this place such a desirable storage facility is that it is all underground…hence the name. They are constantly expanding this place and there are miles and miles of carved out caves in there…and it goes pretty deep. This facility stores thousands and thousands of food containers, all dehydrated for the Navy…I have seen them and it is public knowledge around here. It is also a fall out shelter able to hold some 40,000 to 50,000 people. I tell you this to give some sense of the vastness of the place. I worked there as a subcontractor some 9 years ago…I helped build the office spaces up on top. I started to explore then…about once a month and did so all the way until this past Sunday. However, I never went as far or as deep before either. It was fun to take the ATVs and cruise underground…no rain or weather problems…ever. We were approx 8 miles in and I’d say maybe 500 feet deep when we took a turn down an area that was marked “Naval Authoritative Zone” I remember making a comment about the Navy getting a ship down there and said that was an easy posting. The walls became more defined, as in polished or finished and this was striking because this was supposed to be a newly blasted area…totally backward I would think…still thinking nothing was wrong we kept going, actually increasing speed because the floor was paved now and we could go faster. We came up on an unusual painted pattern on the floor and I thought, “cool graffiti…kids have been down here…we’re safe…won’t get into any trouble.” The road dipped down and then it took a 90′ turn to the left…we had no warning and we were going too fast. I knew we were going to hit the wall. BUT we DIDN’T…we passed through some kind of projection of the cave siding…although I don’t know how it was done…it was real looking. We passed into a whole new road system…this one was large, and much older than where we came from. We started to smell an odor…musty,damp, growing stronger as we went deeper on smell. The lighting decreased as well probably 60% less than the other area’s…we turned on our headlights. We continued on at about 5 to 7 miles an hour for about 5 min and we noticed it was getting cooler…which was to me, very strange…since once inside a cave a certain distance…the temp says the same. We made a right turn and started to come up on what I thought was a rest area on the side…about 40 feet away. I thought it looked like a pair of fountains until they moved. We both stopped immediately. We were approx. 30′ feet away now and what we saw were two creatures, one was very tall at least 7′ feet maybe more and very powerfully built…reddish in color and the other was smaller about 6′ feet but it was not red in color but pale, like an albino and it was not as powerfully built as the other. They looked like REPTILES…living, walking, intelligent beings…not human…not warm blooded. Reptiles! I know it sounds crazy but it is true. They said nothing but I did get a strong sense from the big one. A malevolence, evil presence of some kind. My friend screamed and we turned around…a power turn. We started to go back out when my friend said, “the big one” was after us. I looked back and it was following us. I had the overwhelming feeling that if it caught us that harm would come to us. We passed through the wall projection and I looked back and saw the thing raise it’s arm and it had a weapon of some sorts. It fired and hit the ATV my friend was on. The engine died and he stopped. I told him to jump on…and he did. I gunned it and then my friend said, “STOP!” I slowed down and he he said, “LOOK!”. I looked back and the thing had stopped at the graffiti on the cave floor/road. The ATV was on it’s side of the graffiti/symbol. It was obvious the thing would not cross the marking. I slowed more…we were now about 75′ feet away. I stopped and the three of us…Me, my friend and the creature/reptile/man thing just looked at each other…for about 15 sec. And let me tell you…that is a long time. Then I started to leave…It stayed there waiting and not moving until we were out of sight. As soon as we cleared the cave I got on my cell phone and called the Sheriff’s Dept. I was told that they would not come out and that “Underground Security” would handle it. Then they hung up! By law they are not to do that…We can hang up on anyone…but a government office, be it City or Federal can not hang up on you. Anyway, I was shocked and scared and we took off across the outside of the underground over to my truck and sure enough…Underground Security was waiting for us. We were told to leave, not to tell anybody about this…that if I come back…The Navy would press charges. I was also told that I had 10 min to leave or I would be taken in. What can I say…we left. It has been 3 days since this has happened and I am still shaken. I am a powerful person, 6’4″ and 265 lbs and I have never in my life be afraid for my life…until this past Sunday. I lost my one of my two ATV’s. Vin#5y4Ag0o1y61a071120. As far as I know…it is still down there. My friend will not talk about it and I have not heard anything from anyone about it. I did call the Sheriff’s Dept. and they said they never got a call from me. Well, that is my story…I have never had anything strange happen in my life and I am very very concerned about this. I can tell you this…I had an urge to kill the things I saw down there…I don’t know if that is a natural reaction as most people have a natural revulsion towards reptiles or because of my faith and the feeling of evil I had…or what. All I know is that they are real…and I wish I could do something…anything to combat or help against these things. Take care all and thank you again for letting me write this and share this experience. Sir – this is the 1st time I am disclosing my experience to the public. My family has been previously informed of the details. At the time, I owned a small business which I had started after I finished a 12 year stint in the military. I was then living near Eldridge, Missouri and was raised in the general area and knew the terrain fairly well. I had spent time at the US Army Engineer School in Fort Leonard Wood, Missouri and some of the training included spelunking. When I left the Army I continued to explore caves as recreation. In 1993 I helped form a local group of experienced ‘cavers’. We would get together on weekends and explore some of the cavern systems throughout Missouri and Arkansas. The experience I am about to describe took place in the Summer of 1995. I was on my own that day, which was not uncommon. I had decided to check out a cave in Camden County, Missouri which was part of a fairly large system in the area. From what I could tell, this particular cave had not been explored for a long period of time. The entrance was very narrow and well hidden. After squeezing through the opening I descended another 50 feet or so before the cave began to open up into a series of chambers. I moved through several of these chambers taking my time to examine the area for possible artifacts and formations. I finally reached, what I thought, was the end of the cave. I started to hear a rustling sound that was echoing from a small opening near the top of the chamber. I assumed the sounds were bats and didn’t pay much attention to it. But after awhile I heard motorized sounds and talking. I stood and listened for several minutes wondering what was on the other side of this chamber. The opening was about 10 feet above me. I maneuvered my way up to the opening which was flat and narrow but big enough for me to get a decent look into it. As I positioned myself to the front of the opening I started to see light at the other end. The passageway was only a few feet long but it was just too narrow for me to move through. As I looked through the opening there was a very warm draft of air hitting my face. As well, the air had a very acrid vinegar-like odor. There was a very large and well lit ‘room’ with limestone walls. I noticed a small vehicle that looked like a golf cart but was very low to the ground and without wheels. I continued to observe until I started to hear voices that were getting louder and nearer. Something was making its way towards the vehicle. I had to rub my eyes because I didn’t believe what I was looking at. This ‘creature’, because it was not a man, stood about 7 foot and had brown scaly skin. The face and head were shaped like a human with a flat nose but there were no ears or hair. The top of the head had a slight scaly ray or ridge that extending down the back of the neck. From what I could see it had lips and regular sized eyes. The arms were very long and muscular with human-like hands. It also had a massive 4-5 foot tail that tampered to a point. It was dressed in a gold metallic outfit with long pants and shoes. It also carried an oval pack attached to its back. I watched as this thing was looking at something on the vehicle. I had a high speed camera which I use to document my cave explorations. I was able to obtain a few distorted images of the being. For some reason while I was taking photos the creature stopped and turned, looking in my direction. I’m not sure if it heard me but it definitely knew of my presence. It then made a terrible ‘hissing’ sound as it continued to look in my direction. That was enough for me. I quickly started making a beeline out of the cave. When I reached the entrance I was shaking and hyperventilating. I finally reached my vehicle and drove home. Another article that could be of interest to the reader is The Reptilian Files.